Marketplace China correspondent Rob Schmitz discusses his new book “Street of Eternal Happiness: Big City Dreams Along a Shanghai Road.” Joining Rob will be Bowdoin College Assistant Professor Christopher Heurlin and Connie Zhu, a Chinese language teacher, translator and radio host who grew up in Shanghai. 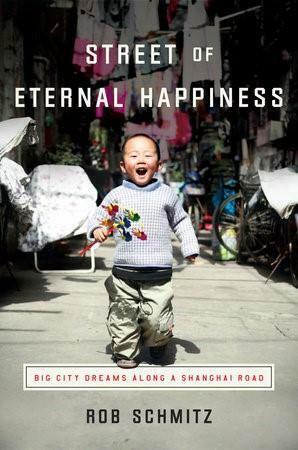 Guests: Rob Schmitz, author of "Street of Eternal Happiness." He's also China correspondent for MarketPlace; he will soon be the new Shanghai correspondent for NPR. WASHINGTON - The U.S. Senate Armed Services Committee is closely looking at China's military buildup and intentions in Southeast Asia. Committee members heard testimony that China is expanding its military at a fast rate, with a goal of more ships than any other nation. China is also flexing its economic muscle, as the largest market in Asia. Maine Sen. Angus King says that complex situation requires a well-thought-out policy.